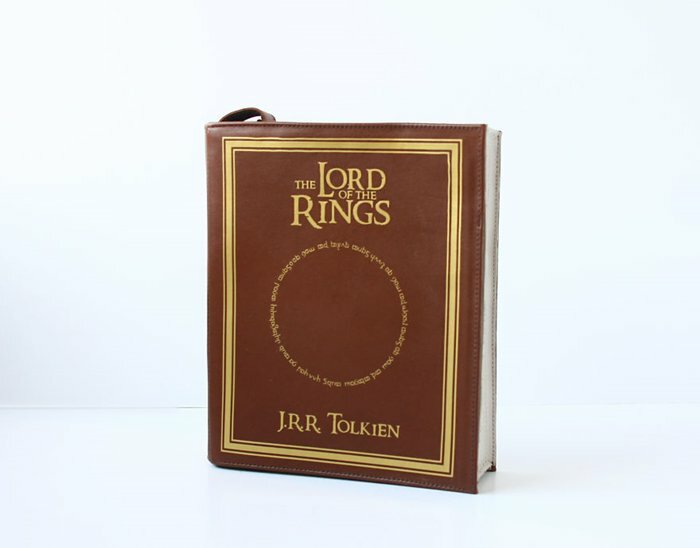 If you love books and you need a vessel in which to carry your belongings, boy do we have a treat for you! 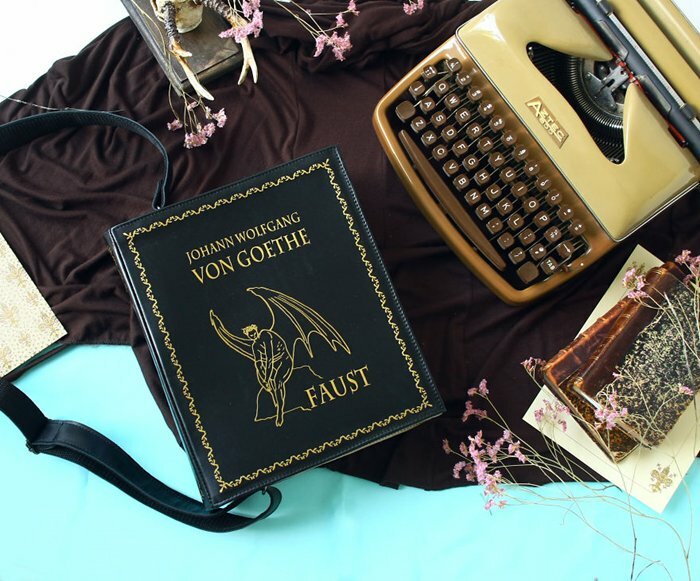 These incredible book-inspired bags by Krukru Studios feature real or imagined covers of famous works of literature, from Harry Potter and the Philosopher’s Stone to Pride and Prejudice, and a whole lot besides. Many of the bags have both a leather and a faux leather option, for those who prefer to go cruelty free. 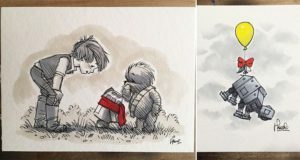 We actually want all of these, so we can choose to wear the book that best expresses our feelings or goals for the day. 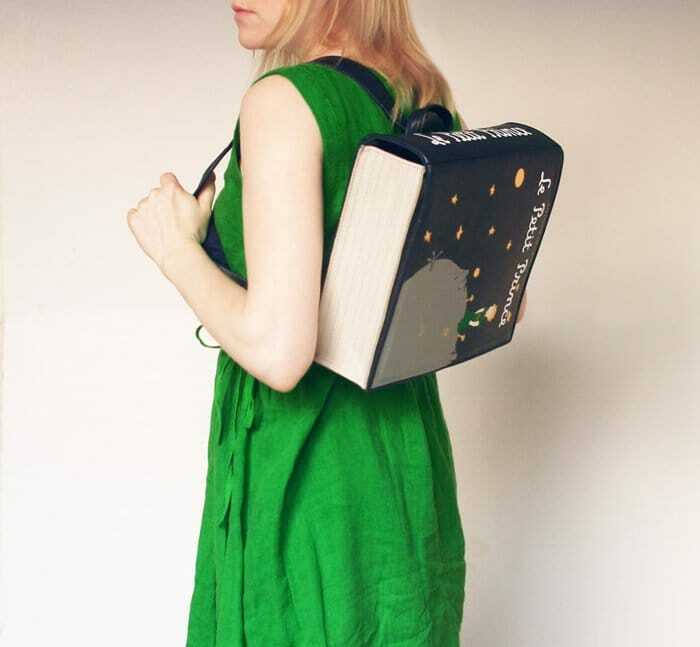 Here are thirteen book-inspired bags literature fans will love. 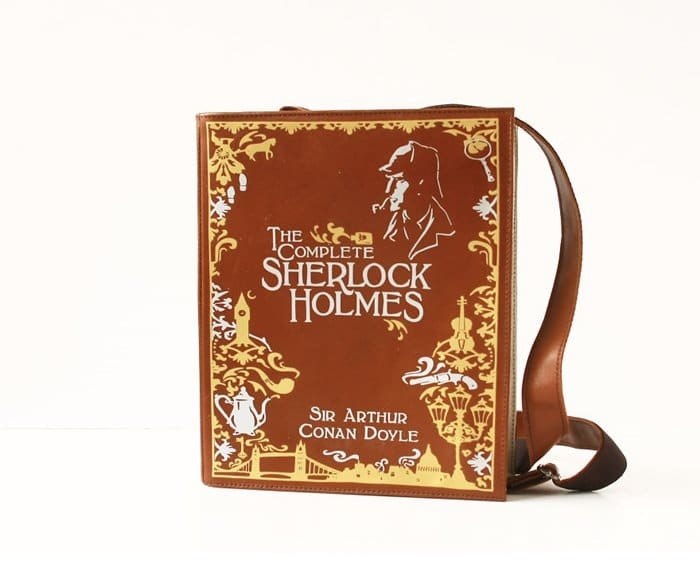 This would be perfect for Sherlock Holmes fans everywhere. 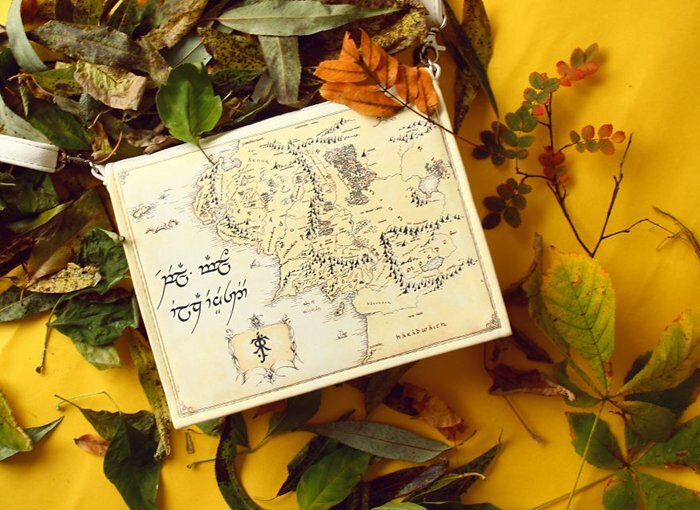 This Middle-earth map is just what Tolkien fans would want. 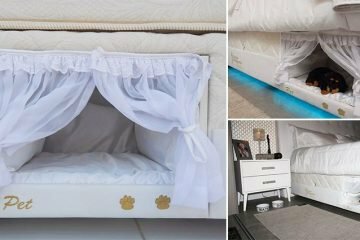 Check out this awesome Little Prince backpack. 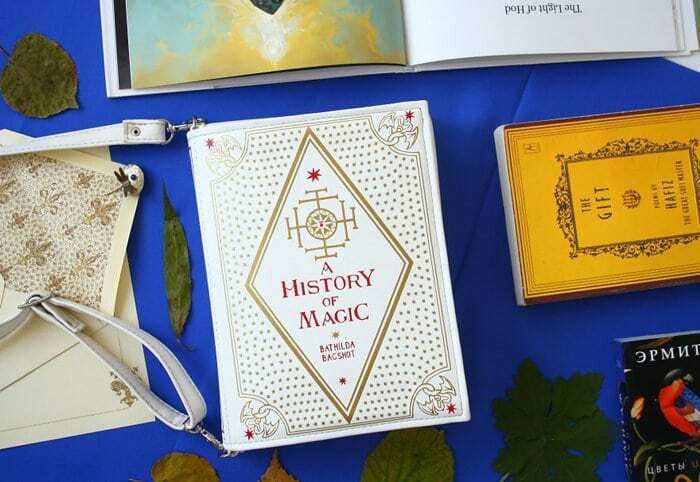 Featuring Bathilda Bagshot’s History of Magic, this bag isn’t for muggles. 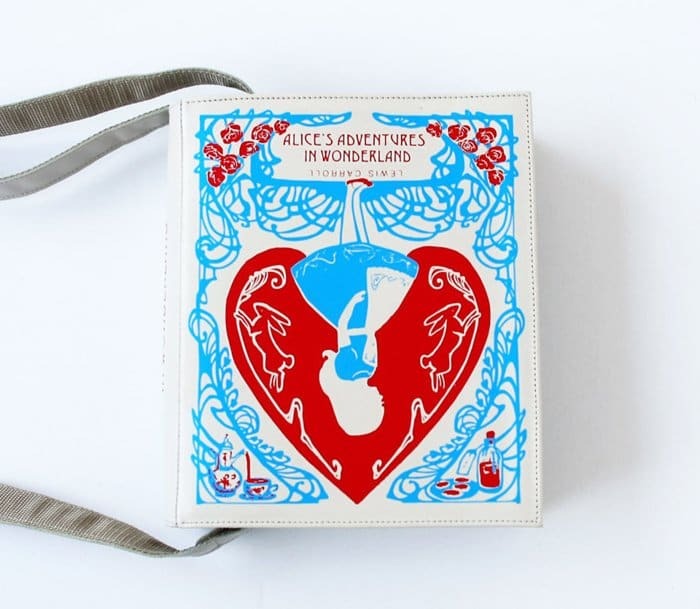 Go down the rabbit hole with this Alice’s Adventures in Wonderland bag. 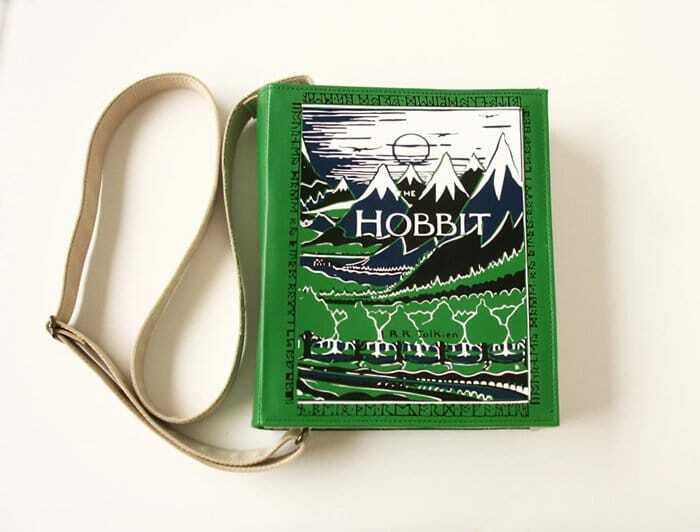 This bag inspired by The Hobbit is beautiful. 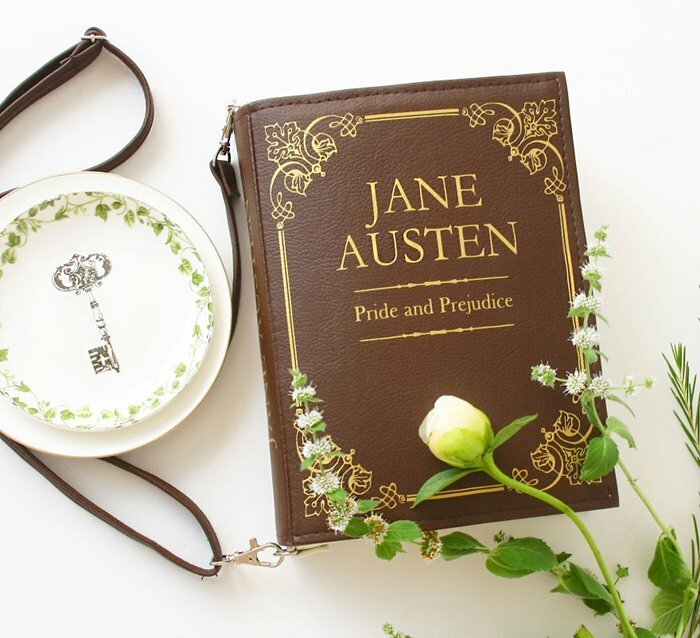 Fans of classic literature might fall in love with this Pride and Prejudice bag. 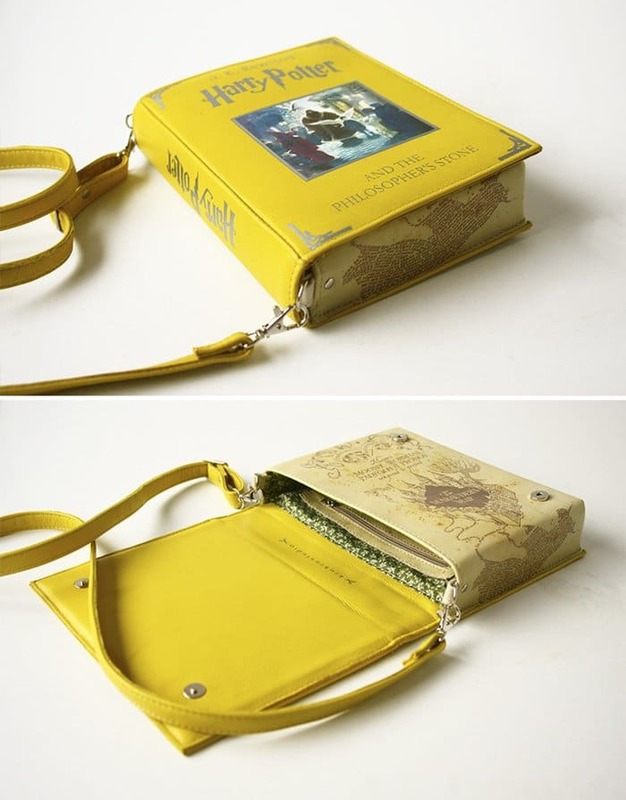 Harry Potter and the Philosopher’s Stone was the inspiration for this awesome book bag. 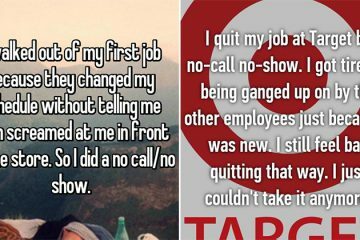 Lord of the Rings fans out there, this one is for you. 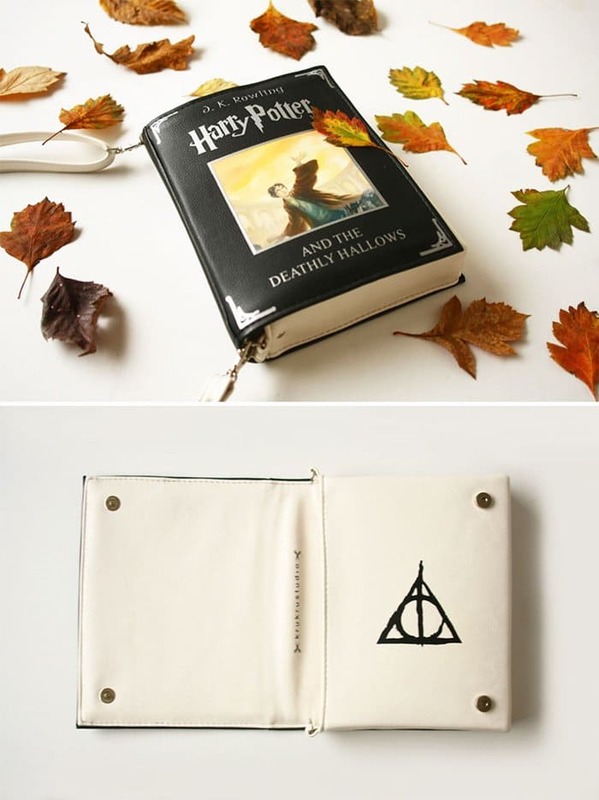 This Deathly Hallows bag is a thing of beauty. 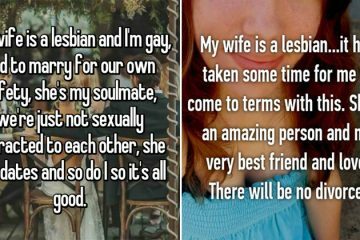 Or you can go darker with a bit of Faust. 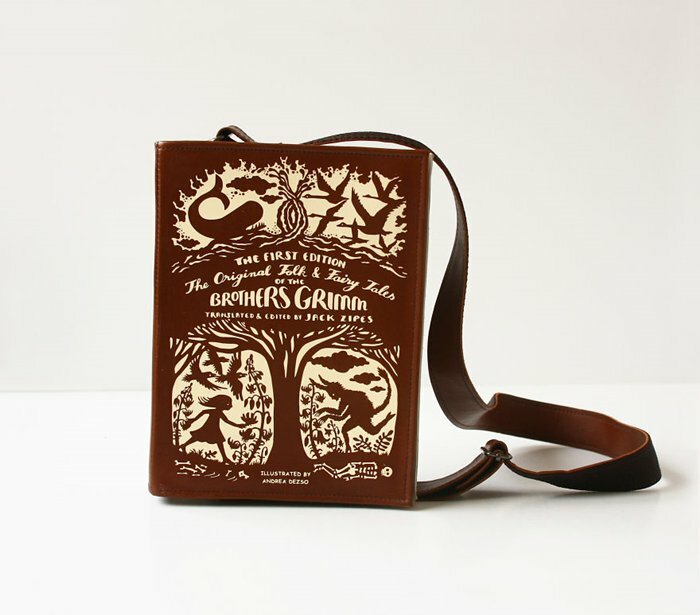 This Brothers Grimm bag is perfect for lovers of Fairy Tales. 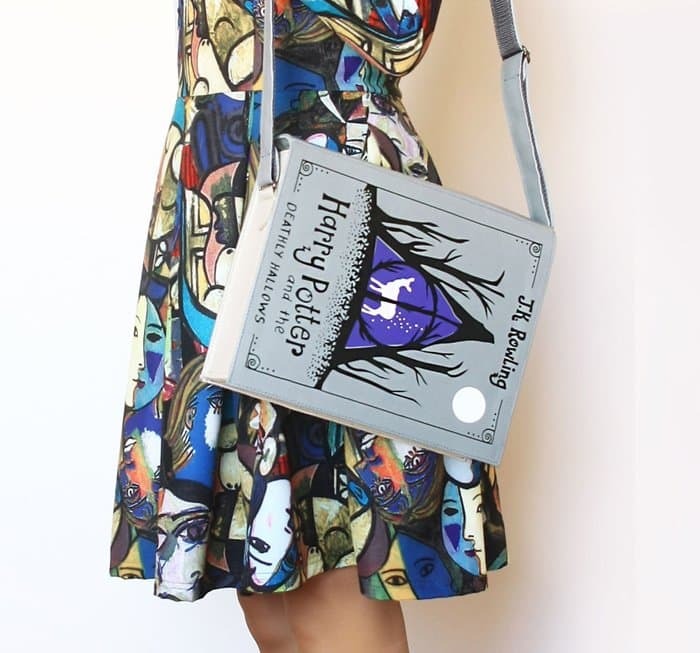 We can’t decide which Deathly Hallows bag we like best!